Facebook knows us well from its user data. The alleged illegal data mining of as many as 87 million users acquired by Cambridge Analytica means others might know us well too. Better than we want them to. The NY Times reported that in 2014 contractors and employees of Cambridge Analytica, eager to sell psychological profiles of American voters to political campaigns, acquired the private Facebook data of tens of millions of users. Some of the user data in question was accessed by authorizing the app “thisisyourdigitallife,” by Global Science Research, a personality app that told users the information was anonymous and for physiological research. Around 270,000 people actually accessed the app. It gathered data on those users’ friends, until it had access to information from millions of users. What type of information is gathered? What can people do with it? Here are 13 fascinating and frightening facts Facebook knows from our Likes. After you “Like” just 10 Facebook pages, advertisers (or political campaigns) can know you as well as a colleague, according to research from Cambridge University in the U.K.
Every 60 seconds, 136,000 photos are uploaded, 510,000 comments are posted, and 293,000 status updates are posted. 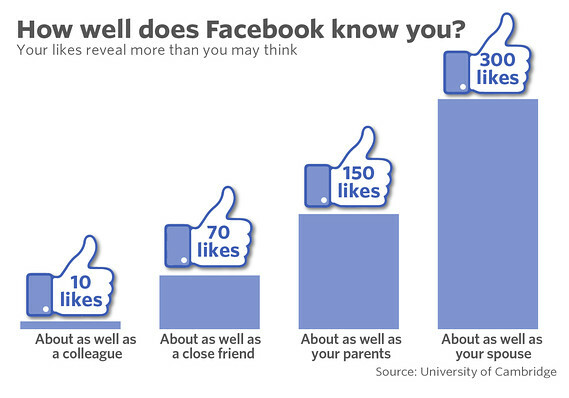 Do these facts about what Facebook knows surprise you? Does your brand need help navigating social media? Website rankings on search engines matter. Various studies show a website in the first position on a search page gets 33% of clicks for a specific keyword query. And at least 75% of search traffic goes to websites on the first page of search results. No single marketing avenue has drawn as much enthusiasm (or has been more misunderstood) as website rankings and Search Engine Optimization (SEO). For a marketer or content producer, the first thing to consider is finding the right keywords. The next step is ensuring the website is easy to navigate and be found by the search engine for those keywords. There are simple step anyone can take to boost website rankings. The people at Websites That Sell in Australia have put together an infographic to show you. 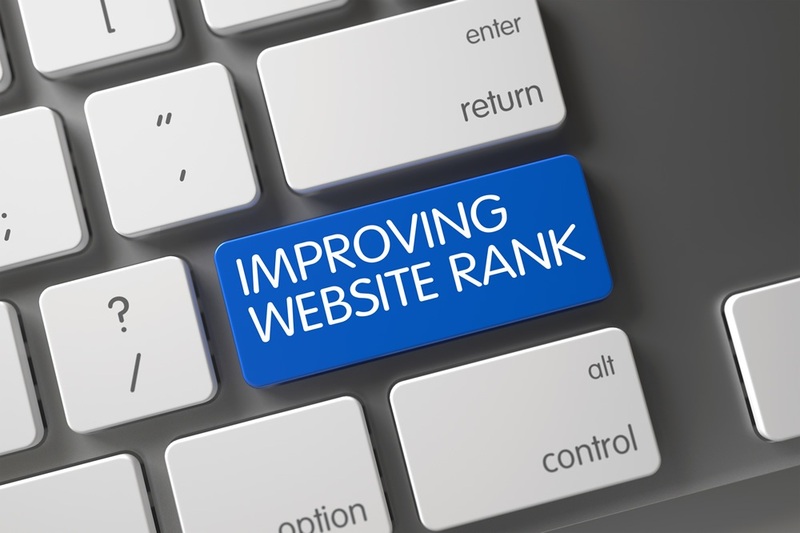 Here are 7 easy ways to boost website rankings and traffic and here’s why. MOBILE FIRST: 51.1% of web traffic originates from mobile devices in 2017, up from 48.3% in the previous year. 88% of consumers who search for a type of local business on a mobile device call or go to that business within 24 hours. VIDEOS: 88% of visitors stay longer on a site with prominent videos displayed. Landing pages with videos lead to 80% more conversion . CRISP CONTENT: 53% of marketers rank content creation as the single most effective SEO tactic. 81% of businesses consider their blogs as an important asset to their business. REAL TESTIMONIALS: 90% of consumer say they are significantly influenced by online reviews. When a site has customer reviews, 63% of visitors are more likely to make a purchase, and reviews produce an average of 18% uplift in sales. GRAPHICS: Having visuals on your landing page increases your likelihood of showing up on Google’s first page by 53%. Searches provide 3x more traffic to your website than social media. BUSINESS OBJECTIVE: Every business should be based on a goal, vision and mission. All of the ways to boost website ranking and traffic should be aligned with business objective. That way these are not just easy but highly effective ways to boost website rankings and traffic. Now, here’s the infographic from Websites That Sell. Do these ways make sense to you? How many are you doing? Does your business meed help with your website ranking and traffic? With this knowledge, any company has a blueprint to improve business. Plus invaluable market research. 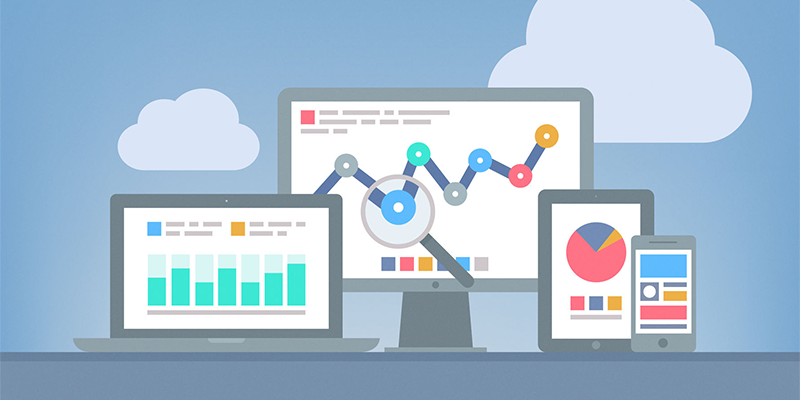 Here the 12 best web analytic tools any business could want. FIND YOUR AUDIENCE: The best way is to find your audience is to identify the keywords they query that are likely to drive them to your unique product or service. Here’s how to find your audience on the internet. GOOGLE TRENDS: Has cataloged every keywords ever searched on Google and displayed it as a graph showing the term’s popularity over time in (nearly) real time. The graph can be examined by countries, regions, cities and customized time periods to name just a few of its features. GOOGLE KEYWORD PLANNER: Provides traffic estimates of the Average Monthly Search Volume of keywords as well as ideas on others. You can even give the Google Keyword Planner a link to your website or landing page and it provides keyword ideas on what it thinks your website is about. 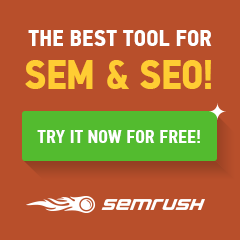 SEO BOOK RANK CHECKER: Want to know where your website ranks for your keywords? SEO Book Rank Checker tells you for Google, Bing and Yahoo. Plus, the Firefox Rank Checker extension allows you to easily check your website rankings from your browser. ATTRACT THEM TO YOUR WEBSITE AND UNDERSTAND BEHAVIORS: A visitor’s behavior and drivers and conversions are critical to achieving business goals. Here’s are the best tools to understand website behaviors. GOOGLE ANALYTICS: Tracks and reports website traffic – how much, where it comes from, what is most viewed and does your audience take desired actions. 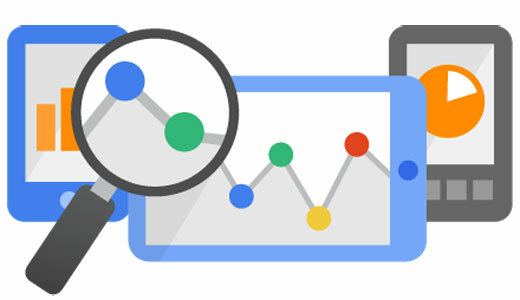 Google Analytics’ approach is to show high-level, dashboard-type data for the casual user, and more in-depth data further into the report set. Google Analytics is the most widely used web analytics service on the Internet. ADOBE MARKETING CLOUD: Is a collection of integrated online marketing and Web analytics products by Adobe Systems. It is a comprehensive marketing solution which enables marketers to measure, personalize and optimize marketing campaigns for optimal marketing performance. GOOGLE SEARCH CONSOLE: Optimizes visibility of a website. It helps to monitor and maintain your site’s presence in search results by letting you know how many pages are found (or Indexed) on search engine, what websites are sending traffic to your website through Inbound Links and keywords that result is clicks to your website. LEARN FROM COMPETITORS: Competitors are a valuable source of comparison and learning. Here are best tools to analyze and learn from your competitors. SIMILAR WEB: Uses big data technologies to collect, measure, analyze and provide user engagement statistics for websites and mobile apps. It collects data from panel of web surfers made of millions of anonymous users equipped with a portfolio of apps, browser plugins, desktop extensions and software. ALEXA: Also estimates and ranks traffic based on the browsing behavior of people in their global data panel which is a sample of all internet users. Alexa measures closely align to Google Analytics for many metrics. WEB TRENDS: Analyzes confusing data gathered from websites and transforms it into actionable information that can be used to optimize web traffic and campaign ROI. They look for opportunities that other providers may have missed and act on them before competitors have a chance. TEST NEW IDEAS: To improve the success of your effort, you’ll want to test new idea. And it can be done in ways that measure and prove the impact of your initiatives. OPTIMIZELY: Gives businesses the ability to conduct A/B testing, in which two versions of a page can be compared for performance. Multivariate testing can also be done. Optimizely enables personalization, which can be used for making data-driven decisions. It meets the diverse needs of thousands of customers worldwide looking to deliver connected experiences to their audiences across channels. SEE WHERE THEY GO AND WHAT THEY TELL OTHERS, What people say about your brand has an important impact on your business and brand reputation. Here’s are some of best tools available to listen and measure social channels. CISION: Monitors conversations to see where the discussion about your brand is taking place, what’s being said and who is leading it. With Cision social software, a single dashboard provides valuable insights to position your brand against the competition. BRANDWATCH: Examines data from millions of sources, from social networks like Facebook, Twitter and YouTube, to news, blogs and even product reviews. It can deliver a huge amount of data for analysis. Its extensive filters and customizable reports make that data easy to analyze and put to use for marketing campaigns, product research and reputation management. Do these tools give you a complete picture of web analytics and the best tools to use? Are there any others that you would include? Do you need a partner to manage and guide your business with web analytics?